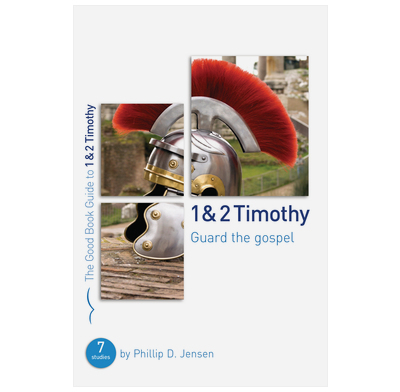 Seven bible studies for small groups to hear Paul's charge to Timothy—and us—to guard and pass on the gospel. Phillip Jensen takes us through Paul's letters to Timothy in these seven bible studies for small groups. Listen to the apostle, nearing the end of his life, exhort and equip his protege to continue the gospel work. In every generation, we need to heed this call to guard, live out and pass on the gospel. Features close attention to the text, a focus on real-life application, and questions that really open up discussion. Accompanying expository guide available to help you lead small groups. Why study 1 & 2 Timothy?